Bamboo species are technically perennial, woody members of the grass family. Although bamboo may be considered beautiful by admirers, bamboo can quickly become an out-of-control invasive pest. Escaped bamboo can overcome stream banks, wooded areas and landscapes and threaten the biodiversity in an area. Bamboo is difficult to control or eliminate but a multiyear effort with herbicides or a combination of chemical and mechanical removal methods may prove effective. Bamboo can be a persistent, fast-spreading invasive. A non-selective glyphosate-based herbicide is typically the best herbicide choice for a homeowner or landscaper. Glyphosate will only kill plants it comes into contact with directly. 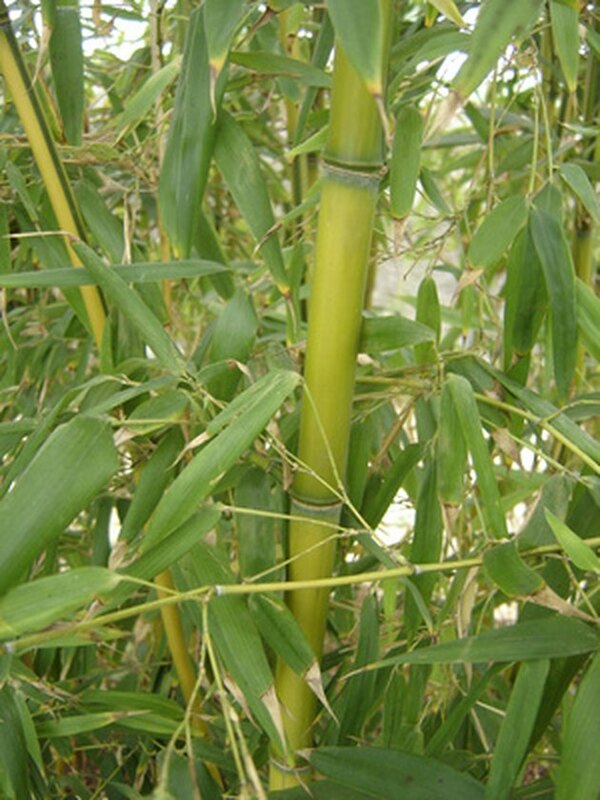 Before application, the bamboo should be chopped or mowed and permitted to regrow until new leaves appear. The glyphosate should be applied to the bamboo leaves according to the instructions on the herbicide label. Multiple applications over two to three years will be necessary to eradicate the bamboo. North Carolina State University weed scientist Dr. Joseph C. Neal recommends a treatment regime that includes diclobenil in combination with glyphosate. The bamboo should be treated in winter with applications of diclobenil. This will kill a large number of the rhizomes and prevent others from re-establishing. Glyphosate is then used for spot sprays throughout the summer to control any emerging sprouts. If the bamboo population to be controlled is adjacent to a creek, lake, wetland or other water body, care should be taken when applying herbicides. Use a glyphosate product that is labeled for use near water. These products typically combine glyphosate with a non-ionic surfactant to improve control. If the bamboo is invading an area where no vegetation is desired -- such as driveways, along fences or in parking areas -- the bamboo can be cut to the ground and the soil may be treated with any soil sterilant. No plant growth will occur in the area for at least a year, so soil sterilants should be used with caution. The most effective bamboo removal is typically repeated mechanical treatment followed by, if necessary, herbicide use. Small infestations may be removed by hand. Remove as much of the root mass and rhizomes as possible. A barrier can also be placed to limit the spread of bamboo. Because the spreading bamboo rhizomes are shallow, growing less than a foot deep, a plastic, metal, concrete or treated wood barrier installed 18 inches deep can be effective. Two to three years of regular mowing can also eventually deplete bamboo rhizomes. How Often Do You Water Bamboo Plants? What Kind of Plants Live in the Bamboo Forest?